A Santé Lakeside Fitness – Happy New Year! 2019 is here and the with the new year brings fresh energy to create more healthy habits and goals. Of course, one of the best things you can do for you is exercise. 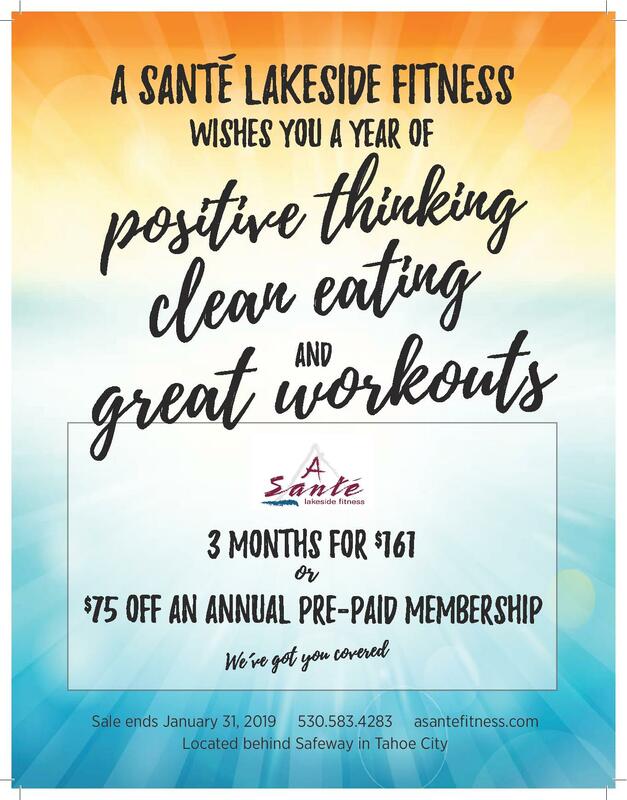 We are here to support that journey and now is a great time to join A Sante’ with our New Year – New You special! Save $$ if you join this month. 3 -month memberships are $161 or Save $ 75 off a pre-paid annual membership. We wish you a New Year of positive thinking, clean eating, and great workouts!